William Willimon, one of the world's most admired preachers, offers his practical and sage advice for some of the most basic tasks of ministry: preparing, delivering, and evaluating sermons; planning, leading, and evaluating worship services; offering public prayers; and celebrating baptism and the Lord's Supper. In addition, Willimon provides creative suggestions for involving laity in worship. 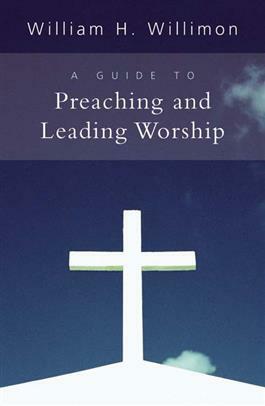 Ideal for beginning ministers and veterans alike, A Guide to Preaching and Leading Worship will assuredly become a standard must-have for mainline Protestant clergy.